When a seaman is injured while working aboard a ship, he or she is entitled to compensation for those injuries. The Jones Act is a federal law that provides a system of compensation similar to that of a traditional workers’ compensation claim. However, there are distinct differences. At our Miami office we fight to help injured seafaring workers get the compensation they deserve after a workplace injury on the high seas. 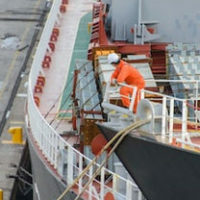 For injured seamen, there are two specific types of benefits that help to compensate for injuries suffered on the job. These are maintenance and cure. When a person is injured in a traditional “land-based” work injury, most state workers’ compensation laws allow the injured worker to have their medical bills paid and let them claim temporary disability payments. However, under the general maritime law, injured seamen are entitled to daily living allowance to pay for room and meals while recovering and is owed to the point where a doctor declares the seaman to have reached maximum medical cure. With a maritime work injury, the maintenance rate is generally somewhere between $35 and $60 per day, depending on the contract the worker has with the company. If the employer tries to set a super low maintenance rate, it can leave the employer open to additional potential lawsuits and damages. Therefore, it is important to read your employment contract, if you have one. How Long Do Maintenance and Cure Last? Generally, an injured seaman is entitled to these types of benefits until he or she reaches “maximum medical cure” or “maximum medical improvement.” This is often referred to as the time when a doctor says the worker has gotten ‘as good as they can’ under the circumstances. Unlike in traditional workers’ compensation laws, the general maritime law places no limit on how long this can last. If there is a dispute over whether additional treatment is needed, the law actually requires that these issues be determined in favor of providing ongoing care and treatment. This usually happens where the worker’s doctor disagrees with the employer’s hired expert. One last distinction between the general maritime law and workers’ compensation laws is that an injured seafaring worker has a right to choose his or her own doctors, whereas many states allow an employer to demand injured workers go to their doctors, thus often referring workers to biased providers. After a workplace injury at sea, you deserve to receive full and fair compensation. Under the Jones Act and the general maritime law compensation is available. However, you can expect most employers to fight you at every turn. Many large cruise ship companies and shipping corporations look for any possible loophole to avoid paying maintenance and cure to injured seamen. If you’ve been hurt at work, call a Miami maritime injury lawyer who understands the nuances of federal and state maritime and admiralty laws. Call Michael F. Guilford, P.A. in Miami today.